This novel took ten years of my life to write. I’m honored you’ve considered to buy it. 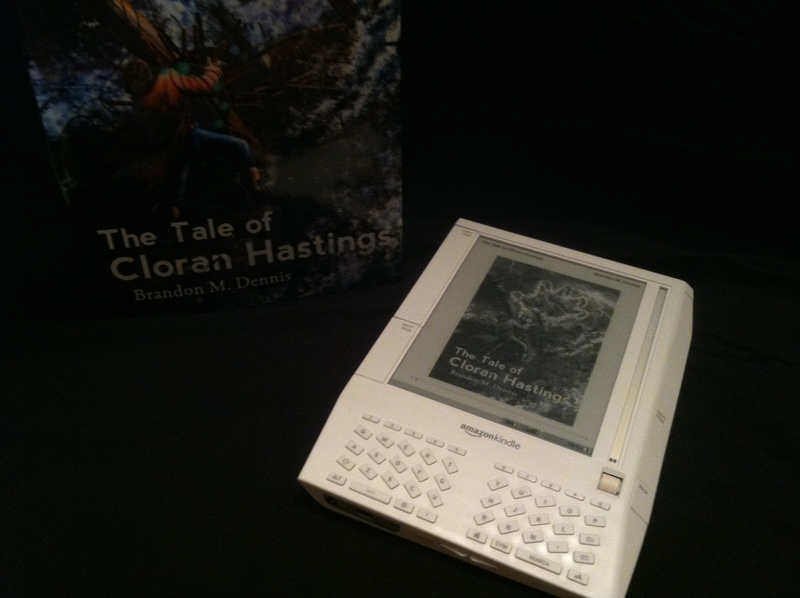 The Tale of Cloran Hastings is a beautiful book. The hardcover is most stunning, with a glossy, full-color dust jacket protecting a navy blue canvas hard cover. Title and author are etched in gold on the spine for an added touch. The paperback is the same size and has the same content as the hardcover. 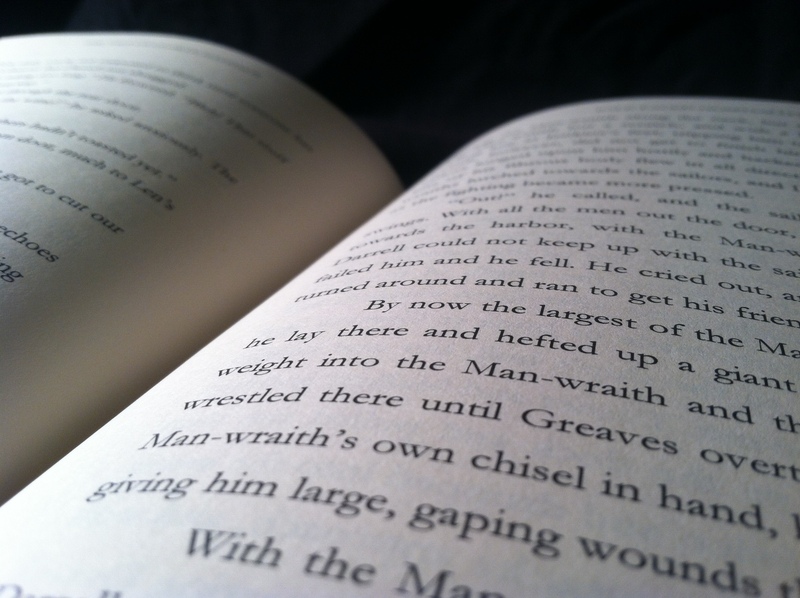 The paperback cover is made of thick, high-quality stock. The cover art is glossy and just as vibrant as the hardcover. 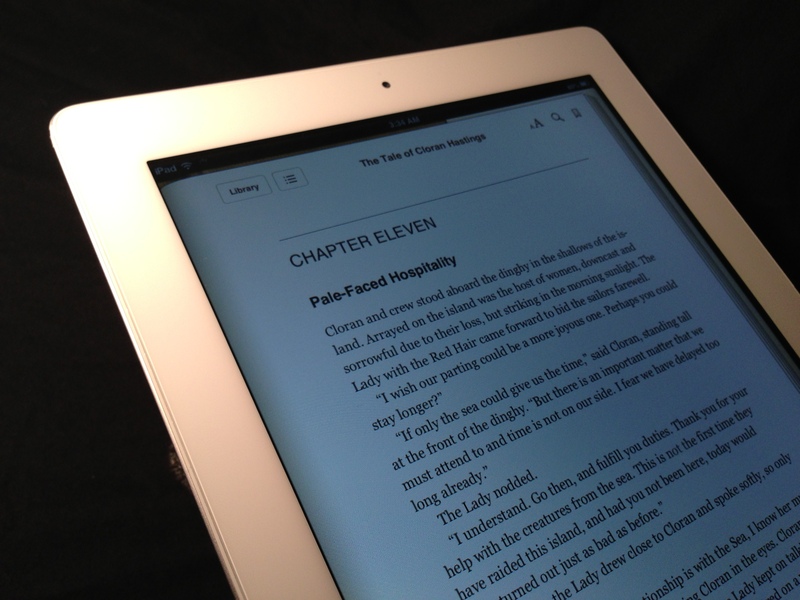 I worked hard to ensure that the eBook is a quality read on all devices. 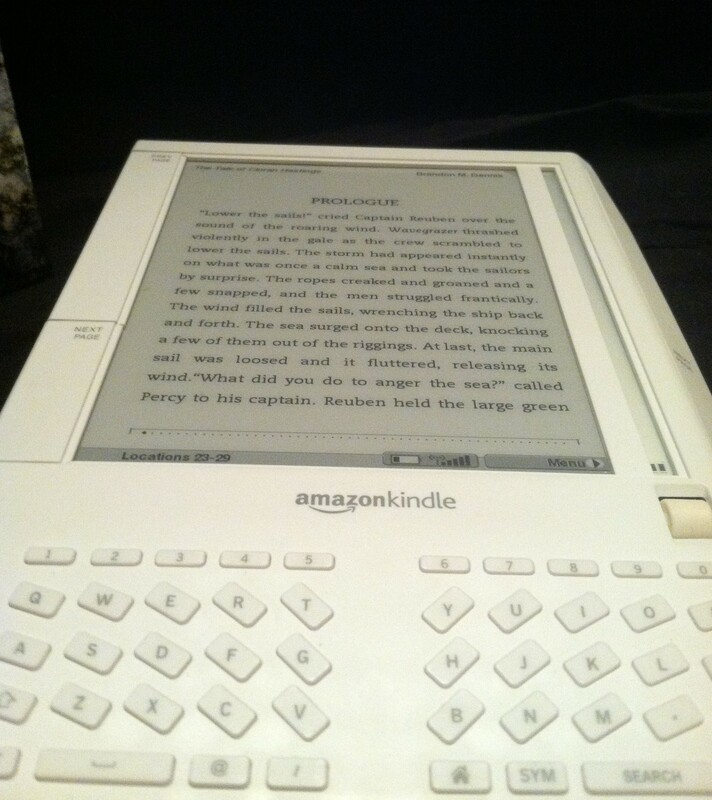 I tested it on the Kindle, iPad, iPhone, Kobo and Nook to ensure that it loses none of its rich formatting across devices. I chose the handsome font Adobe Garamond to be the font of this novel, but you can change the font on your e-reader to any that you wish without loss of style. 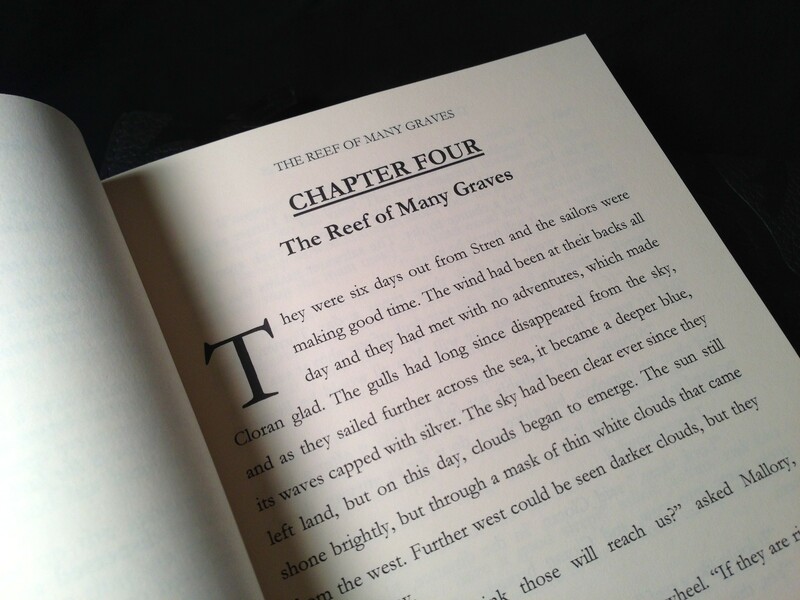 I chose to format the paragraphs in a classic novel framework instead of a research paper or blog style, which I believe aids readability and helps bring characters to life. The story starts in the port town of Stren. Cloran Hastings is a famous sailor in that town, and his exploits at sea have benefited the local economy. His fiancée Adaire works at The Jade Unicorn, a local pub near the water. She has waited patiently for him, year after year, but she can wait no longer. He needs to choose between a life at sea, or a life with her. This framework gives me the opportunity to take you on a fantasy adventure at sea, where you will meet the intelligent but evil sea-dwelling race of beings called the Archineans, led by the tyrant Archeen. I’ll take you to the icy city of Miotes, guarded by a circular ring of ice that is constantly moving, obscuring the city’s entrance to all but those who know it well. You’ll meet The Lady with the Red Hair, who protects her sisters from invaders using her inhuman abilities, and you’ll discover dozens of new beasts, including Sea Lions, the giant crab Krackaman, the hungry flying Frostflies, bearded turtles with iridescent shells, the horned whale and, most terrifying of all, the Giddendrach. I hope you enjoy my novel, and I eagerly look forward to reading your feedback and reviews on Amazon.com. Please contact me directly with any questions you may have. P.S. : Enjoy this gallery of more book images. Brandon M. Dennis is a husband, father, and storyteller. He works as an online marketer, specializing in SEO and local business marketing. He also runs The Oxhorn Network, where he publishes novels, music, movies, essays, and peddles goods. Brandon is best known as the author of Oxhorn Brand Movies, and publisher at GrowaBeardNow.com. A wave of water in the shape of a clawed hand crashes onto the deck of Wavegrazer. The wheel spins violently; the ship lurches and Cloran's men are flung into the sea. 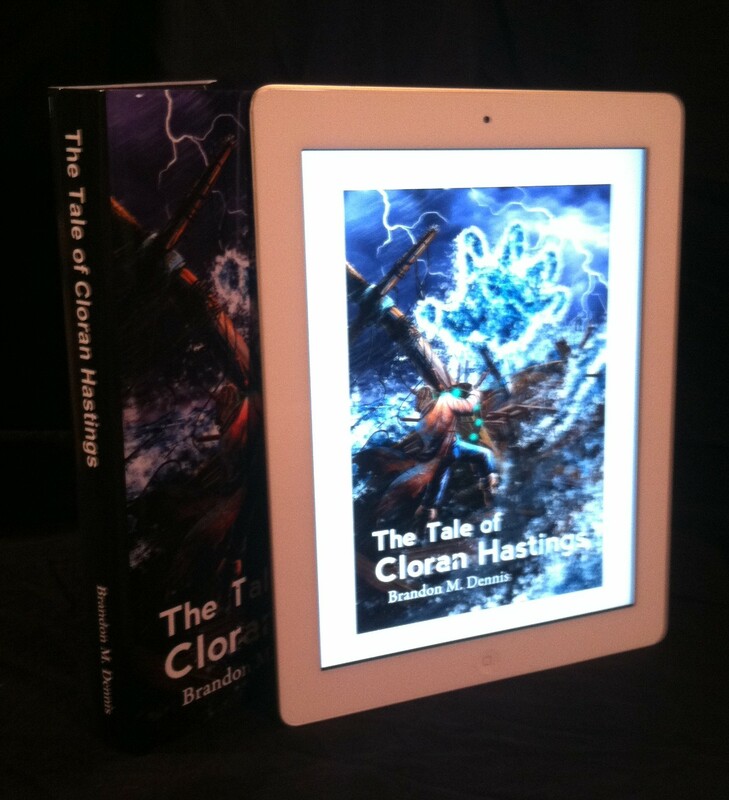 As the masts break and the sky goes black, one name flutters across Cloran's lips. "Adaire..."
Visit Brandon's author page at Amazon.com.